As the new Toxic Substances Control Act (TSCA) continues to take shape, Chemical Watch will be providing insights on each phase of the implementation process and analysing the on-the-ground impacts as they unfold. Passage of the Frank R Lautenberg Chemical Safety for the 21st Century Act in June 2016 updated the US's chemical regulatory scheme for the first time in close to 40 years. We are engaging with federal and state regulators, businesses and advocacy groups to bring you the latest news on what the new law means for the regulated community, and the key challenges being faced in bringing it into force. 14 November 2016 - Congressional leaders and stakeholders say President-elect Donald Trump's administration will not pose a threat to the implementation of the new TSCA law. 10 November 2016 - There will be “major changes” to the EPA’s enforcement activities as a result of TSCA reform, according to remarks at the recent Chemical Watch regulatory summit from Greg Sullivan, acting director of EPA’s waste and chemical enforcement division. 2 November 2016 - The US EPA is “very confident” that it will be able to meet the tight deadlines under the new TSCA, according to remarks at last week’s Chemical Watch US Regulatory Summit from Wendy Cleland-Hamnett of the EPA's Office of Pollution Prevention and Toxics (OPPT). November 2016 - At Chemical Watch’s recent Global Regulatory Summit in Washington, a panel of leading experts debated whether the intent of the new law will now finally come into play – as well as opportunities for cooperation. The senior EPA chemicals official, who is leading implementation of TSCA reform, said she hoped legal action was not inevitable under the Lautenberg Chemical Safety Act (LCSA). 27 October 2016 - The substances the US EPA selects as the first ten subject to risk evaluation under the new TSCA should not come as a surprise, said Jeffrey Morris, deputy director for programmes at the Office of Pollution Prevention and Toxics (OPPT). 20 October 2016 - Bringing a new chemical to the market under the new TSCA will be a very different process to that which manufacturers have grown accustomed to, according to presentations this week at ChemCon The Americas 2016 in Toronto. 17 October 2016 - As the US EPA develops a rule for a TSCA "inventory reset", NGO the Environmental Defense Fund has urged close examination of confidential business information (CBI) considerations. 12 October 2016 - A backlog of pre-manufacture notices (PMNs) and increasing number of TSCA consent orders could delay new products reaching the market, says the Society of Chemical Manufacturers and Affiliates (Socma). 29 September 2016 - Legal experts agree that now is the time for companies to begin investigating their chemical inventories and clearing up nomenclature issues, in preparation for the inventory reset that will take place under the new TSCA. 26 September 2016 - Legal experts have raised questions about the "inventory reset" that will take place under the amended TSCA. The Lautenberg Chemical Safety Act requires the US EPA to set a rule outlining the process for designating substances on the TSCA inventory as 'active' and 'inactive' by June 2017. 20 September 2016 - The extent to which the EPA codifies in rules the scientific criteria it will use to make prioritisation and risk evaluation decisions has divided stakeholders. 6 September 2016 - Chemicals for which adequate data is not available should be presumed high priorities for risk evaluation under reformed TSCA, consumer advocacy and governmental groups have said. 5 September 2016 - Industry groups have urged the US EPA to focus on the conditions of a substance's use during its prioritisation and risk evaluation under the recently reformed TSCA. 9 August 2016 - The new TSCA law includes “important improvements” to EPA’s powers to require firms to conduct testing that will “help greatly” to provide the information the agency will need to make its decisions on chemicals, says a former EPA official. July/August 2016 - With significant revisions to the Toxic Substances Control Act (TSCA), companies producing or processing industrial chemicals in, or importing them into, the US will need to become aware of what’s changed, quickly. The amendments were immediately effective and important regulatory developments are underway. 27 July 2016 - Stakeholders have begun to weigh in on which substances should be the first to undergo risk evaluation under the newly reformed TSCA, and say they will be an early test of the EPA’s new authorities. 26 July 2016 - The US EPA has issued four regulatory determinations for pre-manufacture notices (PMNs) under the newly amended TSCA. The agency found each of the four substances "not likely to present an unreasonable risk" during the PMN review process. 30 June 2016 - The US EPA has released a “roadmap” of major activities and important deadlines it will focus on, during the initial year of implementing the recently reformed TSCA. 28 June 2016 - States will continue to play a “significant role” in managing chemicals of concern in consumer products under a reformed TSCA, according to advocacy groups and regulators. 16 June 2016 - The US EPA will be faced with an “enormous undertaking” in implementing TSCA reform, once it is signed into law, says Steve Owens, a principal at the law firm Squire Patton Boggs and a former Assistant Administrator of the EPA’s Office of Chemical Safety & Pollution Prevention. 22 June 2016 -US President Barack Obama has signed into law a bill to modernise the Toxic Substances Control Act (TSCA). The Frank R Lautenberg Chemical Safety for the 21st Century Act updates the US’s chemicals management law for the first time in 40 years, and reflects years of congressional effort to get the law reformed. 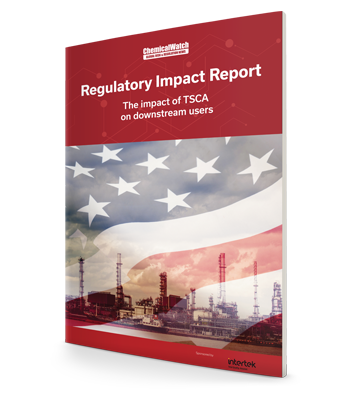 Read our new Regulatory Impact Report: The impact of TSCA on downstream users to understand what the new TSCA means for you, if you’re a downstream user of chemicals in the US. It will help you understand the basics of this complex and novel regulation, as well as your roles and compliance obligations, and what to watch out for.